A camp was held on 01.07.18 at Kennedi School, Maithrinagar, Kukatpalli, Hyderabad & next follow up camp will be conducted on 1st week of August 2018 As per Swamiji Instructions. Apart from these, we are grateful to Kennedi School management who have participated & volunteered in the camp. 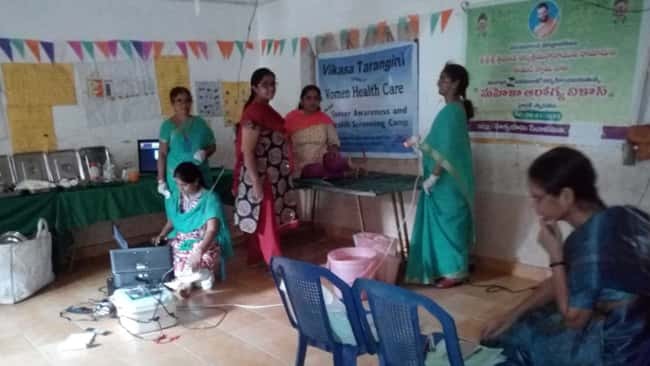 Smt Padmasri, Member of Arogya Vikas and she formed a new team at Kukatpalli (Shanthi Nagar VT) & in this camp using VT colposcopy. Mahila Arogya Vikas Members, Padmasri, Kaveri , Ratna, Sri chandana, & Padmavathi along with the Co-ordinator Smt. 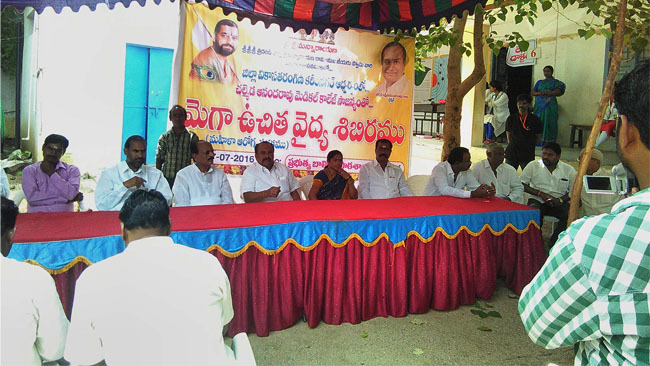 Suneetha Madiraju assisted the camp.